Aloha, everybody! Graham here, just in from the big island of Hawaii. 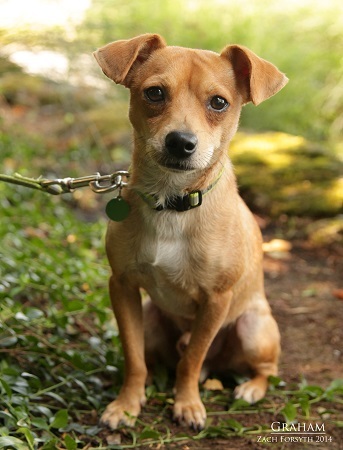 I am a 4 1/2 year old charming Chihuahua mix at 11lbs. I do great with other animals and would be the perfect pooch for family activities like camping and hiking, but best in a home without very small children, as I am just pocket size myself! I come microchipped, neutered, and current on all vaccines and my adoption fee is $250. Think you could be the family I’ve been waiting for? Just fill out an application at pixieproject.org to set up a meet! Mahalo!